I know — you aren't supposed to use your inbox as a to-do list. But like most people, I'm constantly emailing myself reminders. Enter the only app I can't live without: Jotbox. 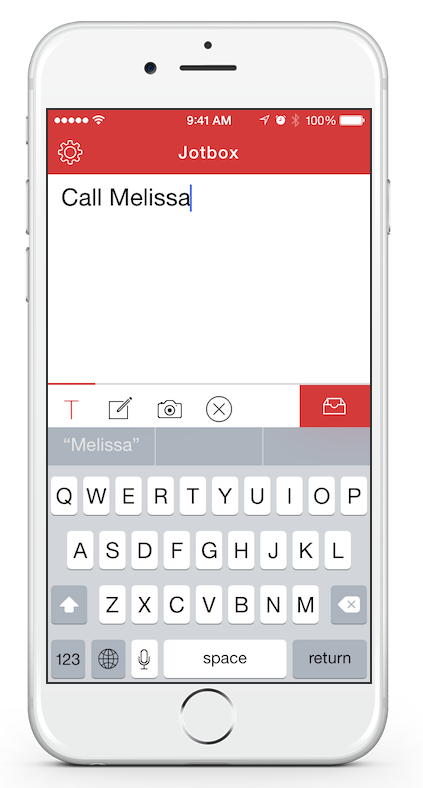 This simple app allows you to email yourself text, photos and scribbles with a single button. You can even connect your Evernote account to send ideas and thoughts there instead. The idea is that you can constantly record things to be filed away and dealt with later. I use it at least 5-10 times per day to remind myself to do the dishes or remember an idea for a new post. I recommend enabling "Use text as Subject" in the app settings. This way, anything you type is used as the subject in the email. If you like this, you'll also like Mail to Self. 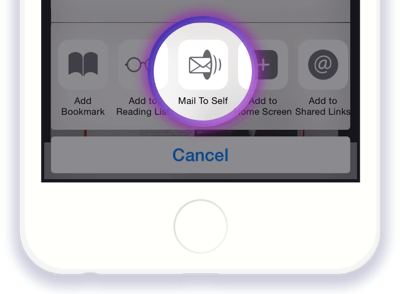 This little iOS extension adds a "Mail to Self" option to the share menu, so you can easily save articles and photos to check out later. Like Jotbox, it's not perfect. But for me, it's the easiest way to keep track of things. Hope you find these apps to be useful!